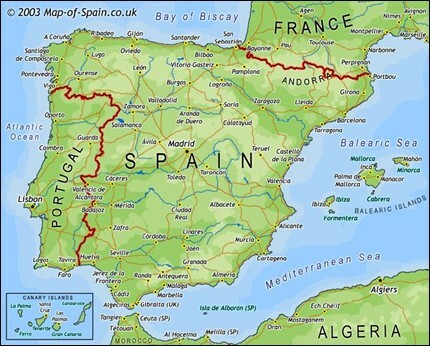 You can find maps of each region of Spain in the region travel guide or by clicking on the regions in the map at the bottom of this page.. This map of Spain was provided by Map-of-Spain.co.uk, where you can find many more great maps of the regions of Spain, Spanish cities and maps to buy. Maps of Italy - Free maps to help plan your tour of Italy. Maps of France - More free maps to help plan your journey around Italy. Maps of Canada - Road and physical maps of Canada for planning your touror trail.